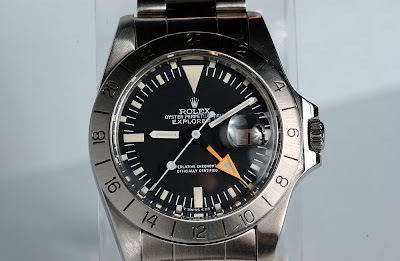 The only thing cooler than an Explorer II 1655, is a fake Explorer II 1655. Yea, I said it. So what? Is it cool cause it's authentic, or is it cool cause it's stylish? I'll go with the latter. I'm sure Steve himself would scoff at the idea of paying 60K for a watch with his name attached to it. Don't get me wrong, if I had 60K in the pocket of my coat I haven't worn since my last trip to NY, I'd buy one. 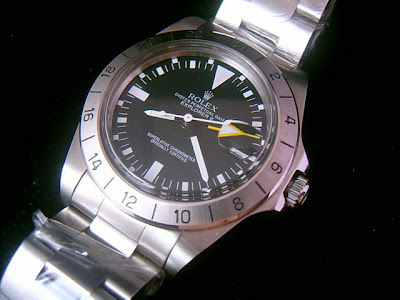 But with the way I treat watches, I'd need to buy at least one back-up. I say google it, and go for it, although I won't vouch for the time keeping capabilities. "It just tells time, that's it". -Steve McQueen June, 14th 1973 11:32 pm. At least that's what his watch read.